Private Tour – Page 3 – SNL Jamaican Tours, Ltd.
As you enter River Rapids, you are greeted by one of our friendly tour guides. After checking in and putting on your safety gear, you follow your guide across the Irie bridge and along the jungle trail, leading you to the river launch point. Your guide does one final check to make sure that everyone is ready and then it’s time to jump in your tube and begin your exciting adventure downstream! 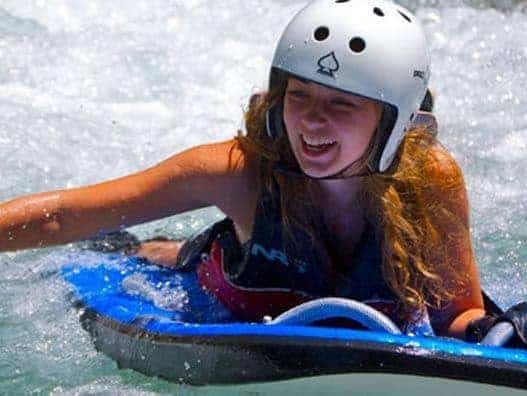 Sweet River Boarding is an exciting adventure for serious water enthusiasts and those who are looking for endless fun and excitement. The Sweet River Boarding Safari on the Rio Bueno River is the ultimate river experience. Your river boarding excursion begins with an introduction to our group of experienced guides, who will be with you every step of the way to ensure your safety and full enjoyment of the tour. Your tour begins as you venture on a short walking path that runs along the river bank, leading you to an open area where you will find your kayak waiting. After some safety lessons from your tour guide and a quick gear check, you launch your kayak into the river and immediately feel the cool effects of the rushing water. Ready to soar like a bird from tree to tree in a rain forest? Come with us on an amazing and breathtaking adventure getaway to the cool hills of Lethe to experience the thrill of the longest zip line in the Caribbean. One of 5 zip lines, varies in length from 250′ to the amazing 1,600′ Big Timba. See what the birds see and feel as they glide in the winds. The basic tour takes you six miles up the river and return, during which a running commentary is given by your captain/ tour guide on both the ecology and a little history of the area. Over 100 species of birds have been recorded in the Black River morass and many are seen during your trip. Ready to soar like a bird from tree to tree in a rain forest? Come with us on an amazing and breath taking adventure getaway to the cool hills of Lethe to experience the thrill of the longest zipline in the Caribbean. One of 5 ziplines, varying in length from 250′ to the amazing 1,600′ Big Timba. See what the birds see and feel as they glide in the winds. You get a bird’s-eye view of the rain forest. Come with us on an amazing and breathtaking adventure getaway to the cool hills of Lethe to experience the thrill of the longest zipline in the Caribbean. One of 5 ziplines, varying in length from 250′ to the amazing 1,600′ Big Timba. See what the birds see and feel as they glide in the winds.